Chromecast V2 vs. Chromecast Ultra: Why We Think The Older Triumphs In This Standoff! With the Chromecast Ultra release date looming on the horizon, many prospect buyers are convinced that the forthcoming product, empowered by new technology, will make the better choice between the two (of course, the second option being the Chromecast V2). While Chromecast Ultra will bring you 4K video support and hard-wired ethernet connection, the question that you should ask yourself is do you really need any of those? 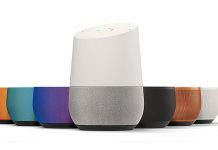 From what we can see, most people will do just fine without 4K video and ethernet connectivity and therefore, they may be repulsed by the Chromecast price-tag which is significantly higher than Chromecast V2. 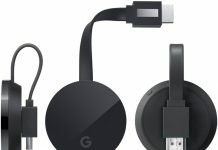 Considering that even the first-generation Chromecasts work just fine, the only rationale behind someone choosing the Chromecast Ultra over the older models is bound to be the pair of enhanced specs mentioned above. Moreover, you also need to take into account the Chromecast accessory currently available on the Google Store. It serves Chromecast V2 users on two fronts: For providing a power source and For providing an Ethernet Cable port. Apparently, setting up this accessory is pretty simple. All you have to do is run a cable from the router to the modem (i.e. not directly from the modem) and then plug the adapter into the power source. Finally, plug the cable into your Chromecast – simple as that! So, based on these parameters, speed-boost and higher video resolution are still the only factors working in favor of the Chromecast Ultra in its standoff with the older Chromecast V2. On a personal note, I have never been bothered by the speed of Chromecast V2. And I believe I echo the view of many when I say that spending so much extra for 4K resolution alone isn’t really worth it. [Deal] Google Chromecast Ultra Discounted, Now At $59 Only!